Niagara on the Lake is a great place to spend some of your holiday time. With so many different activities and its proximity to the Greater Toronto region, it can serve as a lovely weekend getaway from all of the hustle and bustle of city life. With summer fast approaching, activities abound in and around the area. Here is a quick look at some of the best weekend activities this region has to offer, courtesy of Niagara on the Lake real estate. The number one draw to the Niagara region is its wineries. Niagara is home to some of the finest wineries in Canada and arguably North America. If you have not booked a winery tour and tasting with your favourite local winery, now is the time. Each weekend, many of the best wineries offer great tastings of some of their most coveted and unique wines as well interesting pairings provided by some great local chefs. For a detailed look at the wineries and what each offers, please visit www.niagaraonthelake.com/wineries. The Niagara on the Lake region also boasts some great walks and hiking. Make sure to take a stroll down the stunning Niagara parkway. The parkway offers great views of the Niagara River, and is a must do if you are visiting the Niagara region. Another must do is a walk along the Bruce Trail. This trail can be accessed from many different points and offers many great hikes as well as great vistas of the Niagara River and Parkway. For more information and a detailed map of the Bruce trail and its entry points, make sure to visit www.brucetrail.org. Late spring also means golf. Niagara on the Lake boasts some of the best courses in Ontario, and it also is home to the oldest golf course in all of North America. The Niagara on the Lake Golf Club was created for British soldiers who were stationed in the area during the War of 1812 and has been a fixture in the area since then. Come on out and challenge yourself on the oldest gold course in North America, and take a walk back in time! 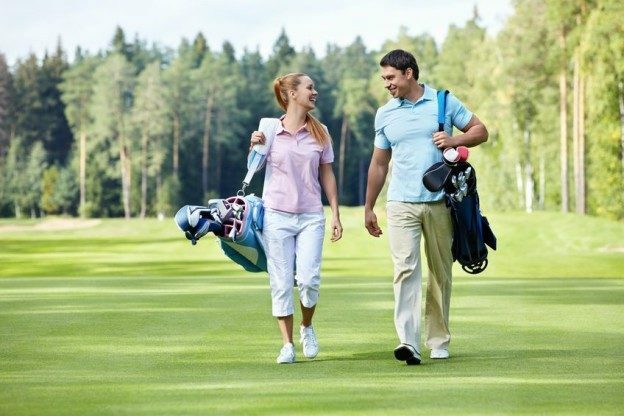 For a complete list of the golf courses that surround Niagara on the Lake, please visit www.niagarafallsinfo.com. The Niagara on the Lake region is home to some great restaurants and chefs. Many local chefs work with the wineries to cook with the finest local and seasonal products. They create some unique and memorable fine dining experiences. Take a stroll through the historic and quaint town of Niagara on the Lake, and see for yourself what some of these chefs are offering. For a complete list of fine dining options in the area, visit http://www.niagarafallshotels.com/restaurants-in-niagara-falls/. Contact Niagara on the Lake Real Estate Today! These are just a few of the many great weekend activities that are available in Niagara on the Lake. If after visiting the region, you feel that you would like to make Niagara on the Lake more than just a weekend getaway, come look at some of the affordable Niagara on the Lake real estate options. We hope to see you soon! This entry was posted in Blog, Uncategorized on April 12, 2016 by Kevin Stokes.